Cover songs have been around since the early days of recorded music. Whether it was an easy way to extend a set or a way to change the feel of a song completely, covers have made and remade entire careers. This week we’re throwing it back to a couple of faves and also giving an excellent bro-type head nod to some country-gone-indie and vice-versa covers. Because in this world, there are no rules. Some of these are throwbacks, but then again, aren’t most covers throwbacks? Shoutout to Julia and Andrea, my music gal pals for inspiring this week’s newsletter. Behind every good idea is a group text. Take, for example, in 2003 when Johnny Cash covered Nine Inch Nails’ “Hurt,” a song about addiction and depression, shortly before Cash’s death. The music video, recorded in Cash’s dilapidating home, is considered one of the greatest music videos of all time. When Nine Inch Nails band leader Trent Reznor was asked if Cash could cover his song, Reznor said he was flattered but worried that “the idea sounded a bit gimmicky.” But, like the rest of us, when he saw the music video, he was floored, ultimately praising Cash’s version. Aretha did not let this song just sit on a dock on the bay. She rocked the world when she covered this Otis Redding record. Franklin’s cover of “Respect” became the authoritative version and an anthem for the feminist movement. It’s considered one of the best songs of the R&B era, earning Franklin two Grammy Awards in 1968 and was inducted in the Grammy Hall of Fame in 1987. This single blew up when Cage the Elephant recorded it (and two other covers) on their 2017 “Unpeeled” album. “Whole Wide World” was initially written by English rock artist Wreckless Eric in 1974. It was never a hit for Eric, but since then, it’s been covered 29 times by everyone from Elvis Costello to The Monkees, to Bahamas and The Wallflowers. But, I have a feeling it got the most acclaim when Will Ferrell sang it awkwardly to a girl in the movie Stranger Than Fiction. In fact, the only time it hit the charts was when Australian band “Mental As Anything” covered it in 1995 and it hit #53. But when Cage the Elephant covered “Whole Wide World,” it climbed to #11 on Billboard Alternative Songs in 2017. Admittedly, I’m just sitting around twiddling my thumbs until Maggie Rogers releases her new album Jan 18th. 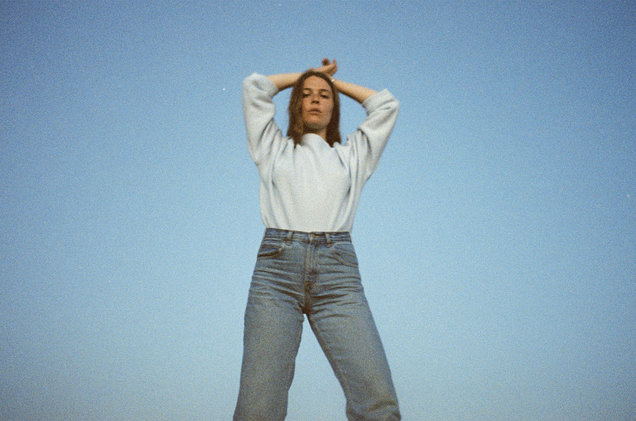 Thankfully, in the meantime, she gave us this gem–a cover of the old Taylor’s “Tim McGraw.” Now, we all loved the old Taylor (RIP), but Maggie Rogers just brought this song out of the depths of country and into emotional indie magic. What was once a cute little country song about a young romance is now melodic and electric ballad like none other. I like it better than the original. I kinda think everything Chet Faker (aka Australian artist Nick Murphy) covers is gold. His cover of Blackstreet’s “No Diggity” was featured in a 2013 Super Bowl commercial for Beck’s Brewery and his career was never the same.  I recently discovered the glories of Triple J (an Australian radio station) and I am spending a lot of time catching up. They have a whole album of covers from in-studio sessions called “Like a Version” (lol Madonna shout out) in which Chet Faker covers “(Lover) You Don’t Treat Me No Good.” He now records under his own name Nick Murphy. I don’t think I’ve intentionally listened to Kenny Chesney since the sixth grade. But my friend Andrea shared this, and it’s excellent. Country is all over the place these days, but I won’t complain if someone covers Lord Huron, as long as they do it justice. Chesney’s version is just a little more twang added to Lord Huron’s “Ends of the Earth.” This song is so sweet in concert and Chesney’s version adds a hint of piña colada. You may know this one from Friday Night Lights, but it was originally recorded in 1990 by Daniel Johnston, who is somewhat of an indie legend. Bright Eyes (Conor Oberst) covered “Devil Town” in 2004 (best version) and then it was released by Tony Lucca in 2007 and featured on the TV show Friday Night Lights. Okay, I just couldn’t not include this. Covering this song brought Weezer and “Africa” to the forefront this last May. But, I think the real winner is Dax Shepard and Kristen Bell’s home video of it. Gah, I know I’m missing so many. But thankfully most are in this playlist: COVERED. Sometimes one cover song is just not enough. Here are some great compilation albums. The New Basement Tapes formed when Bob Dylan’s publisher T-Bone Burnett decided to collect some of the best folk and alternative artists around to record an entire album of discarded lyrics that Bob Dylan wrote in 1967. Dylan commissioned Elvis Costello, Marcus Mumford, Jim James (My Morning Jacket), Taylor Goldsmith (Dawes) and Rhiannon Giddens to record the songs with total freedom, knowing that they were kindred spirits with whom he could trust his work. The album “Lost on the River” was recorded in 2014. Can’t tell you how many times I’ve blared “Kansas City” on the drive home. Also, there’s a song on the album in which Dylan writes about the supposed six months he spent in KC. I’m still trying to track down more history on that. Jack Antonoff recorded Strange Desire in 2014, but he said he always felt like the songs would sound better if a woman sang them, so he commissioned his female friends and artists to cover it–everyone from Sara Bareilles to Elle King to Lucius. The title of the album is a nod to Antonoff’s previous band “Steel Train,” which released an album in 2010 called Terrible Thrills, Vol 1. One of the best covers compilations, featuring Ben Folds, San Cisco, Catfish and the Bottlemen, Bon Iver and more. Best buddies Iron & Wine and Ben Bridwell got together to record an album of some of their favorite songs. “This Must Be the Place” is my fave. Yeah, you can do a cover album, but the Post Modern Jukebox crowd flips the usual old-to-new cover style on its head and records “vintage” versions of modern songs, especially jazz versions. A 2012 compilation album of older songs with a new sound. “I Drove All Night” is fave. Though kinda creepy? Like if all your cover songs were happier. Their “Ignition” rendition is fun. Some would say it’s hot n fresh out the kitchen. A California band named after an approximation of the French word for grapefruit. Their music and cover album are just as quirky, tangy, fresh. Ryan Adams got permission to cover Taylor Swift’s entire album and he totally Ryan-Adams it. Spotify seems to have a habit of asking visiting artists on their sessions to do one original song and one cover. The results are pretty great.